The Edelrid Jul2 Belay Kit Bulletproof Triple is a belay set designed for use with single ropes, even ones with a large diameter. Featuring high braking performance and ease-of-use, it's great for beginners, sport climbers and gym climbers alike. 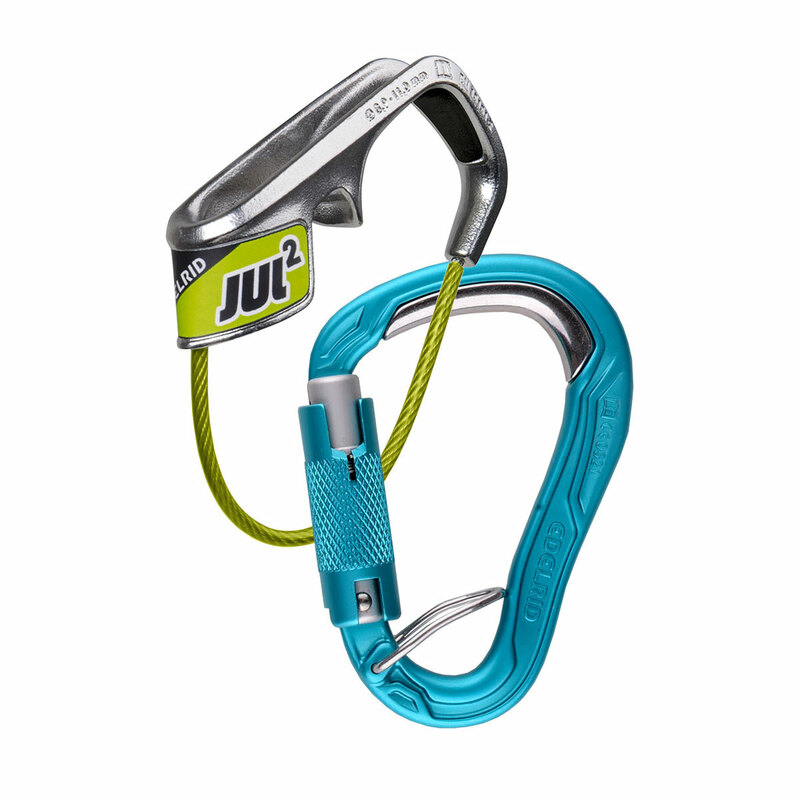 The Edelrid Jul2 Belay Kit Bulletproof Triple consists of the Jul2 belay device and a HMS Bulletproof Triple FG carabiner. Equipped with a super-safe triple lock, spring bar to hold it in place and prevent cross loading, and a steel insert to help prevent rope wear, the HMS Bulletproof Triple FG carabiner is a great choice of belay carabiner.